Kuzuma Botswana defers, quite rightly, to its heavyweight guests. KUZUMA IRONICALLY MEANS ‘hunter’ in Matabele. We are told by the owners that Botswana’s president, Ian Khama, was so incensed about poachers that he decided to institute a military task force as an anti-poaching unit. Not only is Khama admired for this, but the whole of Botswana seems to be behind him in his thinking. Certainly the tourism industry is thriving largely because of his leadership. Particularly in Camp Kuzuma. Just under two hours’ flying from OR Tambo gets you to Kasane Airport, and a further 45 minutes to the solitude of the camp in a forest reserve. 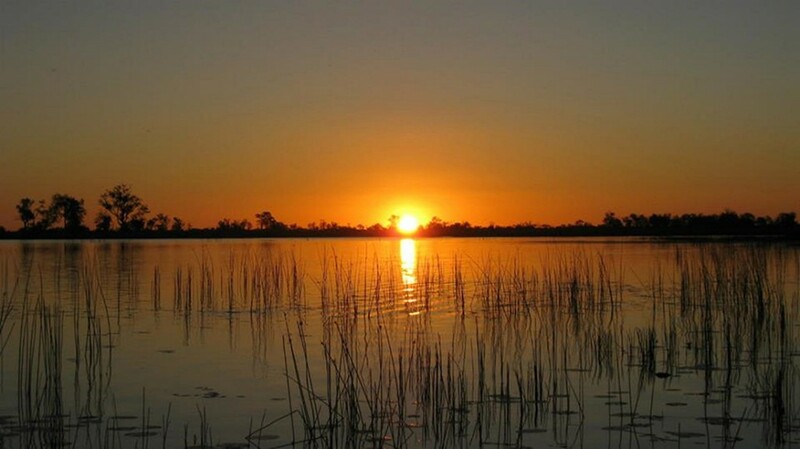 It is in the centre of the busiest elephant corridor that joins the Chobe and Hwange national parks. This three-hectare land concession has been turned into a five-star luxury lodge that promotes ecotourism. What makes Camp Kuzuma special is the proximity of the 200,000 elephants that roam this vast playground. Whether you are having an outdoor shower, sitting on the deck with a sundowner, or having a back massage in the open-tented spa, they are never more than a short charge away. The gentle instrumental background music ubiquitous in city spas is replaced by the rumble of elephants, the sound of occasional locking of tusks and the extraordinary expulsion of flatulence. It’s hardly surprising when you consider they consume 200kg of roughage a day. Humans are way lower on the evolutionary scale when it comes to hearing. Elephants communicate continuously in a symphony of higher frequency snorts, barks, roars, cries and idiosyncratic calls. 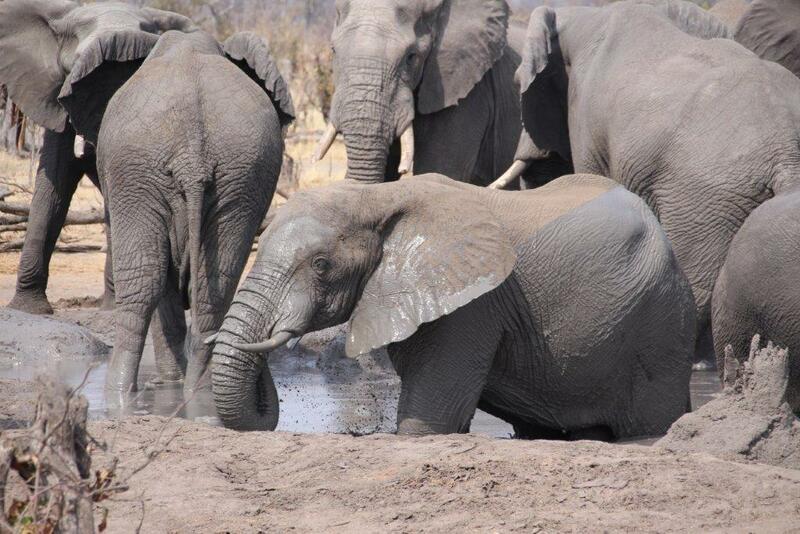 Which means it can get pretty cacophonous when up to 140 elephant gather at the lodge’s watering hole. Camp Kuzuma pumps 35 000 litres of natural drinking water a day into the elephants’ ‘play pool’. Not only for the 180 litres a day they drink, but to ensure there is sufficient mud for them to bath in – essential to prevent the sun from burning their skins. The young males gather around the drinking hole like adolescent boys at break, jostling, beady eyed, and generally staking their claim as immature adults. However, when the matriarchs and mothers arrive with the clumsy calves in tow, the young males respectfully move aside. It makes sense. When you have to endure a pregnancy of 22 months and give birth to a 120kg baby, you deserve to wear the proverbial pants. From the decked central area of Camp Kuzuma, photographers and twitchers alike need move no further than the comfort of an armchair to watch the game or some of the 196 bird species living around it. There are only five luxury 50m² tented suites at Kuzuma – all facing the bushveld and designed for privacy. They are connected by an elevated walkway, purportedly to give you a height advantage if you were to meet a lion passing through the camp. Each suite has a sundeck and you’re in a late 19th-century time warp among the Victorian high-backed baths, silver trays and teapots, leather couches and super-king-sized beds draped with mosquito nets. As isolated as it is, you can still enjoy meals prepared by top-notch chefs in the elegant dining room open to the bushveld breeze, in the boma around the fire, or in the form of a private dinner next to the pool under the stars.